We stumbled upon this graphic gem on hoyitzroyy’s Tumblr the other day. Seems like fitting content as we’re gearing up for our SXSW panel on public transit and the Interwebs. Check out the other maps here. It has some ideas that I thought of myself, but I don’t like it because of the utter lack of infill stations on the existing system and excessive station spacing on the new segments. Lake/Funston? 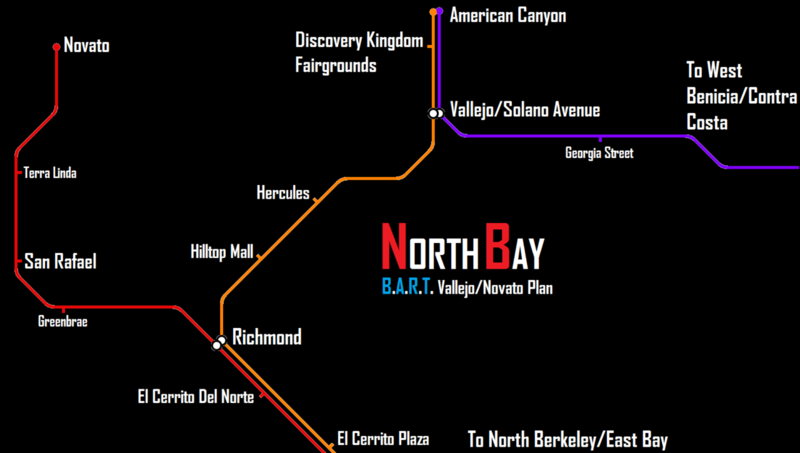 When there’s a Geary/12th station? That makes very little sense. I saw it– my point was that Lake & Funston is a pretty strange location for a station. There isn’t even a bus line on Lake, because it would make no sense. Putting a subway there makes even less sense. 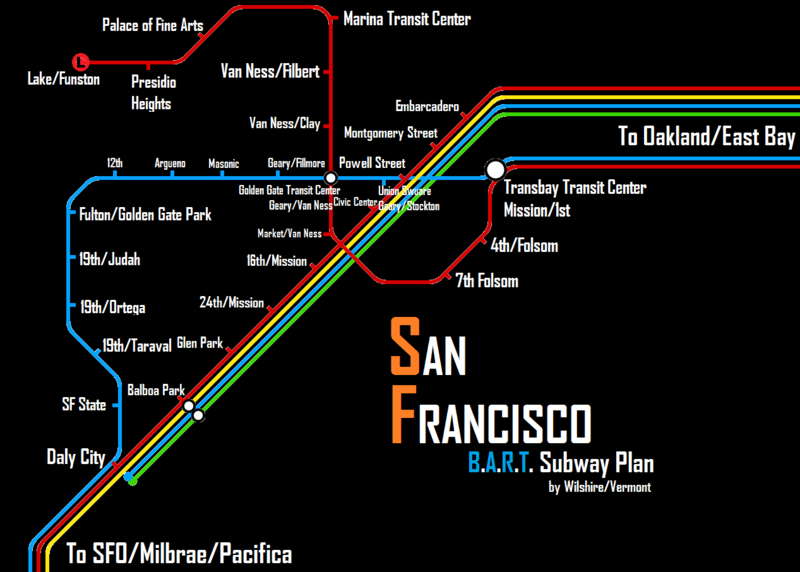 Geary/12th is logical, or better yet, a station that has entrances on both sides of Park Presidio Blvd.